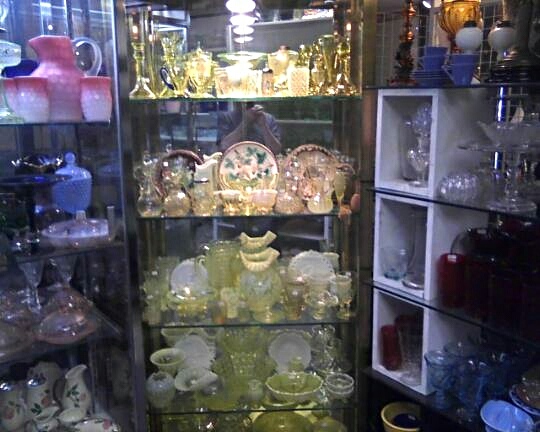 Max Miller Antiques specializes in American Glassware from 1850-1970 including Carnival, Fostoria, Cambridge, Pattern Glass, Imperial, Heisey, Tiffin, Fenton, Depression Glass, Vaseline Glass (Uranium Glass) and more. 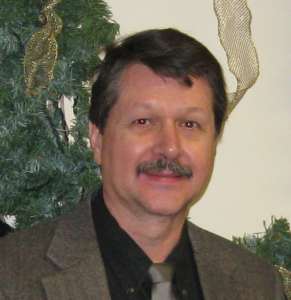 Founded by antique glass expert Max Miller in 1980, collectors from around the country seek Max Miller Antiques as a source for the best selection of rare glassware. The 2020 Houston Glass Show will be February 14 15 and 176. Hope to see you there. 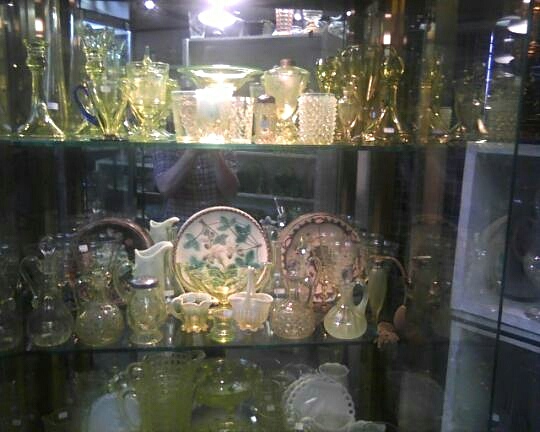 Check out our very fine collection of vaseline glass – also known as uranium glass. The yellow/green pale color looks like vaseline which led to the popular nick name vaseline glass. Each piece contains uranium and will have a green glow under ultraviolet light. Vaseline glass is also known as uranium glass. Very fine Vaseline Glass collection at Max Miller Antiques.